Must Love Dogs exists for one reason – we truly love dogs! 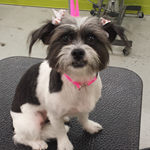 We know that your dogs are part of your family, and our clients are part of our family too. 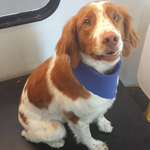 Everything we do is focused on keeping your dogs safe, comfortable, and happy. We appreciate your trust in us and take it very seriously. 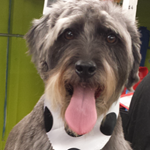 Liz’s love of dogs led her to the field of dog grooming after 8 years working as an attorney in corporate litigation. She was searching for a more soul-satisfying path that would allow her to spend her days with dogs and the people who love them. 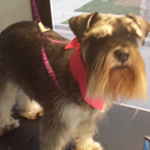 She started Must Love Dogs after receiving her training and certification through a hands-on grooming school and working for another local company in their mobile grooming division. Must Love Dogs supports animal rescue efforts! Liz is a regular volunteer with LA Animal Services and is proud to be the mommy of rescue dogs and cats. Please call/text/email us if you are interested in scheduling an appointment. We have early morning, afternoon, evening, and weekend appointments available. 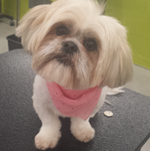 We encourage regular grooms for your dogs and can put you on a regular schedule so you always have your appointment time reserved in advance.